Kick start the season and get the mind, body and legs in gear! Make the most of the conditions and the snow on the ground. 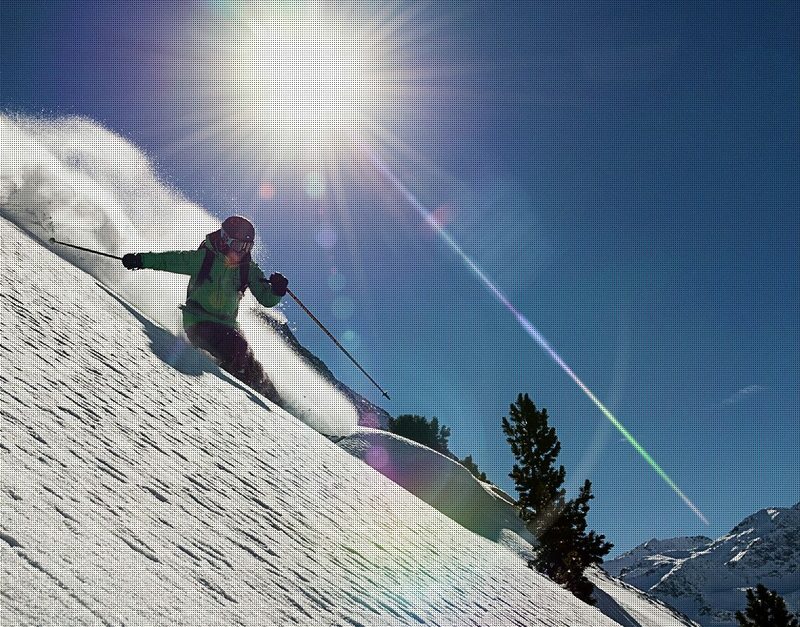 Leave with confidence to look at bumpy terrain, off-piste or more technical skiing on piste. Gain confidence to ski any piste in resort. Not interested in off-piste, bumps or very hard stuff. Ideal for those who can ski most blue runs in a mainly parallel fashion! Great racers are better skiers. This is a week aimed at kids involved with school or club racing. A week (5 full days) of improving the foundations and skillsets that top racers inherently have. A week of guiding but with continued technique & tactical instruction. Exploring some of the best off piste routes in the 3 valleys. Get onto some new skis, pack our skins and we are off! Start to explore a little further afield and look for snow a bit further away. Gain confidence, technique and tactics to start enjoying soft and powder snow at the sides and in between runs. A week of ski touring around the 3 Valleys. Taking in some of the classic routes, scenery and adventures. Improve your technique, tactics, knowledge and confidence in the off-piste. Feel more confident to take on deeper snow and steeper slopes. Introducing an exhilarating week of skiing which offers the chance to progress to a level beyond that of which normal ski schools can go. On the piste, off the piste, bumps, couloirs and into the snow park. Great racers are better skiers. This is a week aimed at kids involved with school or club racing. A week of improving the foundations and skill sets of top skiers and racers. 3 valleys, 2 peaks and 1 overnight refuge stay (or a day away to another resort). A brilliant week of action pack skiing for those comfortable and capable in all terrain and all conditions. End of season. The touring game is on!